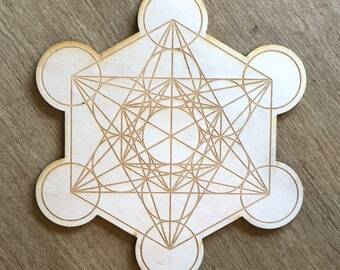 This is a Triangle Circle crystal grid made out of Birch wood. These are made to order, you can choose between approximately 3, 6, 9 and 12 inches in diameter and 1/4" thick. This is just for the grid, stones much be purchased separately. The triangle as a symbol is connected to the number three for obvious reasons. 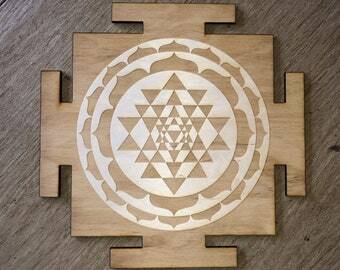 It can represent different things if it is oriented in different directions. It can symbolize gender based on how it is positioned. It will symbolize the power of the male, fire, and a false view of God when the point is directed upwards. Christians will see the triangle as a symbol of the Trinity. The triangle is called a chalice when it points downward. The triangle will represent water because in that position it flows downward. It can symbolize heaven’s grace and the womb. 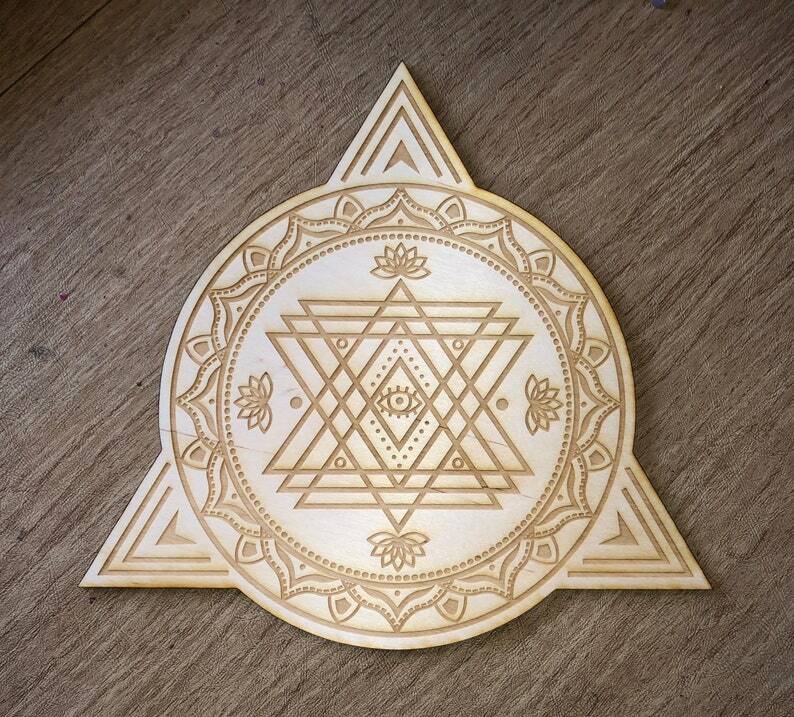 The triangle that points downward is one of the oldest symbols of the divine power of the female. It is an ancient symbol that represents the genitalia of a goddess. The circle is a universal symbol with extensive meaning. It represents the notions of totality, wholeness, original perfection, the Self, the infinite, eternity, timelessness, all cyclic movement, God ('God is a circle whose centre is everywhere and whose circumference is nowhere' (Hermes Trismegistus)). Beautiful grid and would buy again!